This one is mainly for the internal team, web developers, and those who work on integrations. It contains some updates to the Consumer API and the Data Extract API. If you’re seeing this and thinking “what the heck does that mean?” you probably don’t need to read these notes. Including actual price paid for promotions: the Get Booking and Get Bookings endpoints in the Data Extract API have been updated so that the actual price paid per unit (taking into account any variable pricing) of promotions are shown. Confirm guests by telephone: API users can now say a guest was confirmed by telephone through the Update Booking endpoint in the Consumer API. 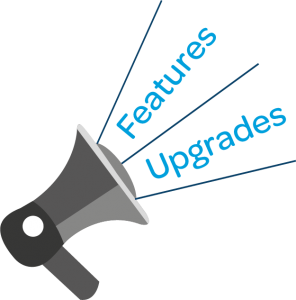 Update the create/update endpoints: the Create Customer and Update Customer endpoints in the Consumer API now support both appending customer comments and overwriting customer comments. The default is append. Update endpoints to allow customer profiles to be created without an email address: the Create Customer and Update Customer Endpoints in the consumer API now allow customer profiles to be created without an email address. The API user can say in their request if they want an email to be required or not. Bulk unsubscribe customers: the Bulk Unsubscribe endpoint in the Consumer API has been updated to allow bulk unsubscribing from all venues (provider level) in a group, as well as group (group level) marketing, for either SMS or email. Include Booking Extras in the booking notifications: when a Booking Extras was added to a reservation and paid for, this was not being noted in the booking modification email notification. This was confusing for guests so we’ve updated it.